This case deals with issues related to conversion of a mostly manual information system to an electronic information system where the new system significantly changes the way users interact with the system. The case focuses on the elements of analysis and design, followed by implementation and results. 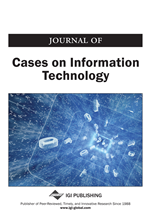 This case provides scenarios and settings that may be used for role plays and group discussions to highlight the importance and the need for following the accepted systems analysis and design steps in the analysis, design, and implementation of IT systems.